Sanitary Tubing is the main tubing line for a piping system. Generally, sanitary tubings are made in stainless steel 304 and 316l, but we provide other grade too such as hastelloy C22, 316Ti, Titanium and nickel alloy etc. We offer both sanitary seamless tubes and sanitary welded tubes to ASTM A270, and size is up to 12″. Inner and outer surface is polished to meet the high purity requirement of hygienic industries. Wellgreen sanitary is ability to supplying qualified sanitary tubings comply to your your condition and FDA,GMP requirement. Material of stainless steel 316L and 1.4404 is from reputed mill to guarantee the chemical composition and mechanical properties of sanitary tubings. Material certificate will be submitted to orders. Heat Treatment of solution annealing for the sanitary tubings and fittings are available. The heat treated will be relief stress which caused by cold forming of fabrication, to improve the corrosion performance. High precision on dimension and wall thickness. Fast delivery for general specification to meet your needs well in time. Both seamless and welded sanitary tubings are available to meet your different usage. Multiple grade upon your requirement. Length is up to 12 meters. Min. order quantity of sanitary tubings is from 300Kgs. Offer industrial pipe and tubes according to order. Packed in wooden case (Free-fumigated). Mechanically is available to meet your high quality requirement on the surface of sanitary tubings. Outer and Inner surface can be treated complied to specified needs, and to meet FDA, GMP requirement. Inner of Outer Surface : Ra0.5?m, Ra0.6?m, Ra0.8?m or Grit 180, 200, 320 etc. ASTM A270, ASTM A249, ASTM A269, ASTM A213, EN/DIN etc. 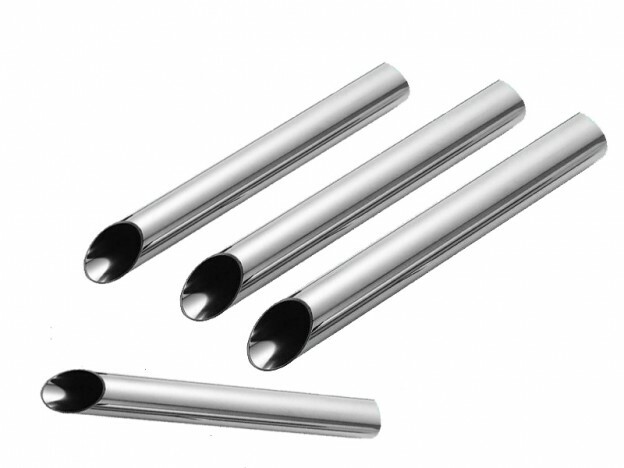 *We also provide stainless steel tubes and pipes with unpolished and pickled surface to meet industrial usage. * For more information and specification about sanitary tubings, please contact us here. This entry was posted in Sanitary Fittings, Sanitary Tubings and tagged Astm A270 Tubes, Polished Tubes, Stainless Steel Tubes on May 20, 2014 by hansen_admin.